Fire, Fire, Everywhere! Everyday! Somewhere! Why? It is a matter of great regret and sadness that every year we suffer from colossal loss of our hard earned money, shelter and precious human lives. Property worth lakhs of rupees gutted into ashes besides irreparable human sufferings. Fire accidents are man-made tragedy and thus totally preventable. Fire accidents are result of human negligence and failure to observe certain basic and common precautions. Electric short Circuit – Unsafe wiring, overloading, sub-standard electrical equipments/ fittings and electric wiring/connection done by unskilled persons. 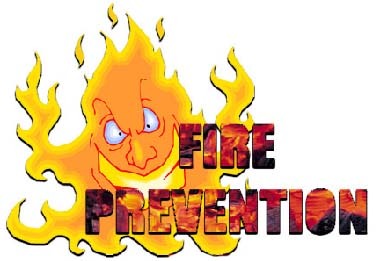 Though reasons are obvious and known to everybody but despite that we fail to observe fire safety precautions and results in having fire accident. Make sure an electrical appliance has a third party approval or certification such as LPCB, UK or BASEC or British or European safety mark when you buy it. Unplug appliances when you are not using them or when you go to bed. Keep your eyes peeled for signs of dangerous or loose wiring, such as scorch marks, hot plugs and sockets, fuses that blow or circuit breakers that trip for no obvious reason, or flickering lights. Report any electrical property repairs immediately. Check and replace old cables and leads, especially if they are hidden from view – e.g. under carpets or behind furniture. Portable heaters. If you need to use them, try to secure them against a wall to stop them falling over. Keep them clear from curtains and furniture and never use them for drying clothes. Strict building codes, high-quality equipment, good system design, competent installation and professional maintenance are all factors in driving the downward trend. Still, this translates to innumerable commercial, industrial and institutional buildings struck by electrical fires. Not having forgotten the recent Villagio Mall fire in Doha, Mantralay fire in Mumbai followed by home-ministry fire in New Delhi. Though the main causes of the fires are in the process of investigation, electrical negligence has surely added on to the losses of life and property. Then why not amend our mistakes? Why not buy good quality cables and not repent in the days to come? Why lose our loved ones with a small mistake in the process of saving some pennies? Why? Failures of these fundamental mechanisms are at the root of many electrical fires and are the target of many electrical maintenance procedures.